The full circle mini skirt has an elastic waist. 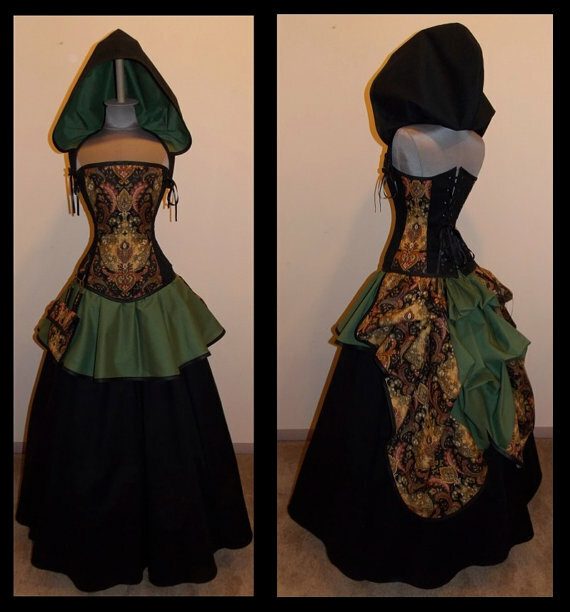 The mid length add-a-bustle has a drawstring waist. The Back tie over bust corset has steel boning.